Amanda became hooked on writing when she did a two year course on Creative Writing at Sussex University. "I’ve had quite a number of short stories published and have an MA in Creative Writing and Authorship from Sussex University. The Eloquence of Desire was my first romance novel and it won an award from the Royal Literary Fund, since then it has been translated into Turkish." 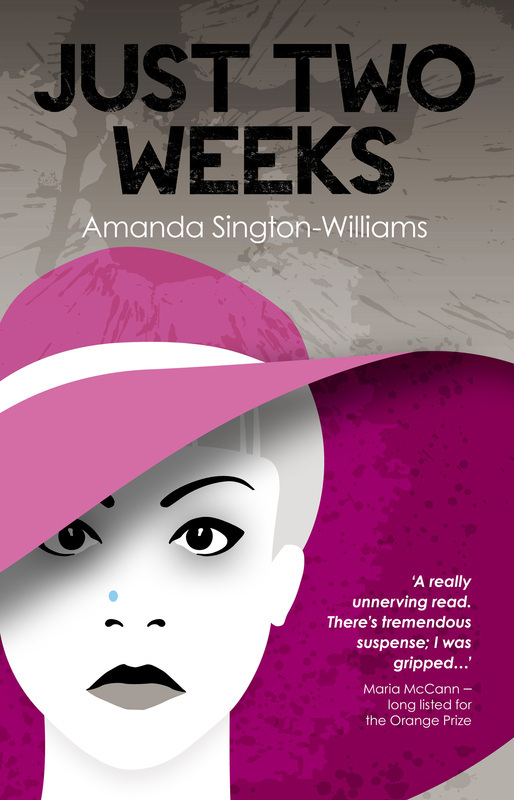 Her latest novel 'Just Two Weeks' is a psychological thriller set in Sri Lanka and The Lakes in northern UK. This novel won the IPR Agents Pick Award in 2013. Amanda loves cats and singing. She sings in Dawn Chorus in Brighton where she lives with her husband. She also mentors new novel writers. Amanda will be featured in the Rukia Publishing 'Meet the Author' feature on 24th November and there will be a chance for you to win one of 5 paperback copies of Just Two weeks coming soon - watch Sarah Jane's blog page for details. After being made redundant from a seemingly secure job Jolene Carr takes a two week break in the sun. On the first day she meets Raquel, another hotel guest. Little does she realise how this apparently innocent acquaintance will lead to terrible and lasting consequences. After a frightening incident she hits a conspiracy of silence from the locals and over the rest of the holiday she feels herself slipping into a vortex of fear. Back home, the nightmare continues as she realises that Raquel is stalking her. Her hippie mother and her partner Mark tell her to move on. All certainties, even about relationships, become fluid and treacherous as her past begins to unravel. If it wasn't for Rob, her ex-lover who Jolene thinks has his own agenda, she would be left to cope on her own. A gripping psychological suspense. How much fear and betrayal can one person take? Get your copy in digital and paperback format and don't forget to leave a review.